Well, we all know that Earth is the best spot In the Universe to vacation but this article is about new places to visit. 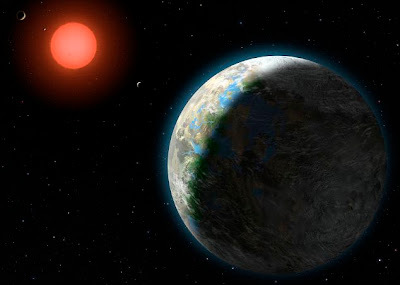 This list is based on the Planetary Habitability Index recently created to determine the most habitable planets discovered recently by astronomers. These places are most likely to give rise to life, which we all know is important in a vacation destination. Eventually we will visit all of these places and soon after that many people will be either vacationing or moving to these places. So, what vacationing opportunities does the universe have to offer? Let’s find out! Saturn’s moon Titan rates the highest on the Planetary Habitability Index at 0.64. 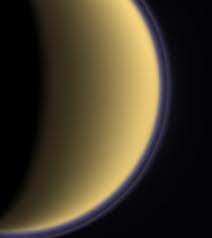 Vacationers to Titan will be pleased to know that there is an atmosphere that is about 1.5 times as thick as Earth’s and comprised mostly of Nitrogen with small amounts of Methane. If it were warm enough, only respiration gear would be needed and not a full spacesuit but because of it’s –290 F temperatures you would want something to help keep you warm. While Saturn’s magnetic field does partially protect Titan from the solar wind, some radiation protection would also be needed. 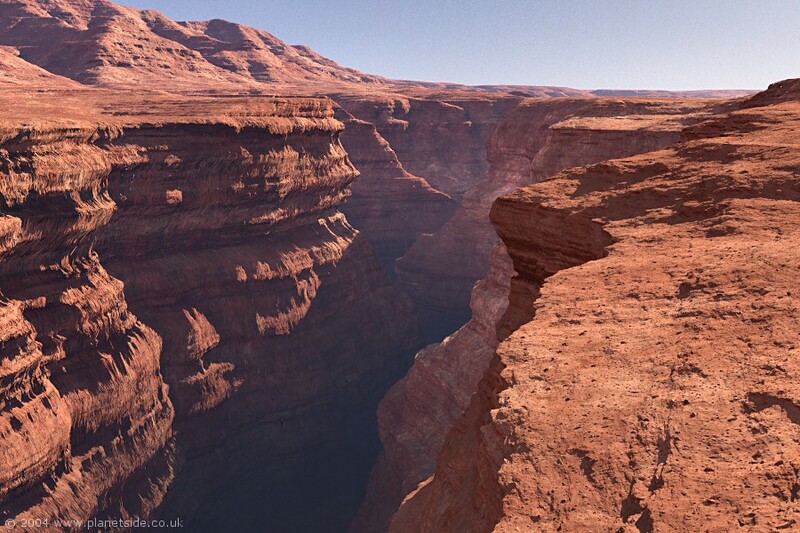 The landscape isn’t littered with craters but there are some mountains, sand dunes, rivers, lakes and seas to see. 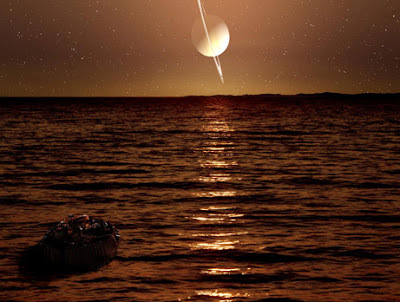 Because Titan is tidally locked to Saturn, there are points on Titan where Saturn would always appear directly above, or just above the horizon – depending on what sky view you prefer. With the gravity only being 0.14 of Earth a 170lb person would only weigh about 25 pounds which would be enough to bounce around but no so little that you would have to worry about jumping into orbit. In fact, with a gravity this low and an atmosphere this thick – it would be possible to fly through the atmosphere with a basic set of wings. Vacation Summary: You can fly with your arms! Long sunsets at methane seas. Saturn and most of it’s moons always visible in the sky. Titan’s oceans can be used as rocket fuel. Varying terrain to explore. Many of us are somewhat familiar with Mars. It’s fairly close, red and a little chilly. What is not generally known is the huge amount of tourist attractions available on this planet for vacationers. Sure, you are going to need a spacesuit but because there is a thin atmosphere it won’t be as bulky. Temperatures can be very chilly at –125 F during a polar winter to up to a beautiful 68 F during a equatorial summer day. 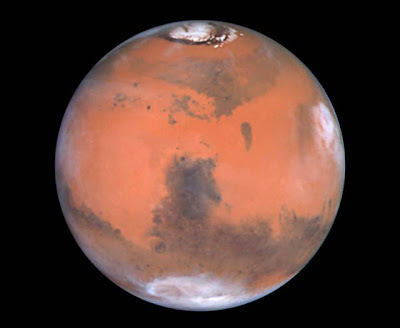 Again, you won’t quite be able to take off the spacesuit even on these warm days because of the extremely thin atmosphere and solar radiation. What you can look forward to are the multitude of terrains. 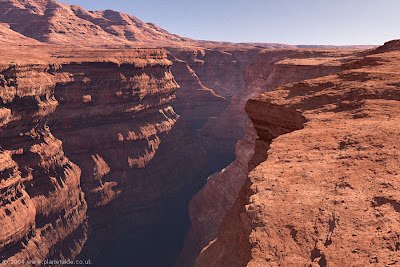 You can visit the highest mountain, Olympus Mons, or see Valles Marineris – the deepest canyon. There are impact craters to explore, deserts, valleys, hills, and you can do your own search for life in the dried up riverbeds if you want. There are also the polar ice caps where you can enjoy frolicking in both ice and dry ice year round. All of these activities will occur about about 1/3rd Earth’s gravity, which is the perfect amount for getting around very easily on two feet. This also lends itself to playing certain types of sports. Imagine hitting a golf ball 1000 feet, easily kicking a soccer ball across the entire field, or jumping over the defensive line in football. Don’t forget that you will be able to see the most beautiful planet in the sky – Earth. Vacation Summary: Warm temperatures when in season. Large amount of interesting geographical features to explore. Winter sports available year-round. Close proximity to Earth. Excellent sports possibilities. 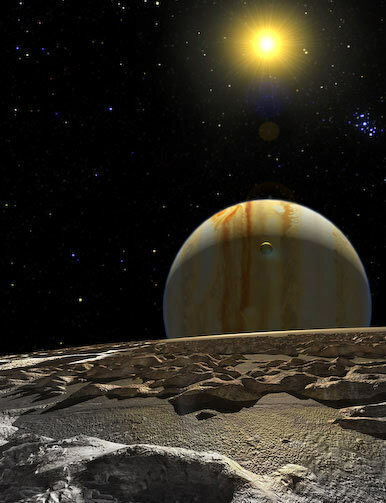 Featured in the Film 2010: The Year We Make Contact, Europa has long been thought of as a possible haven for life. Unfortunately, most of the life is thought to be under anywhere from 200 Meters to 15 Miles of ice in dark lakes or oceans. While this might be the perfect place for some types of life to survive, it’s not exactly the best spot to visit without sophisticated equipment. However, if you are the type that enjoys exploring the bottom of Earth’s seas then you may have found the vacation spot of your wildest dreams. Other vacation interests could be cross-country skiing, due to the extreme flatness of the terrain which is entirely covered by ice. The sky would definitely be a sight to see with giant Jupiter looming and several large moons passing though the sky. Because Europa is also tidally linked, there are spots where Jupiter would always be right above in the sky – which is also perfect for someone studying Jupiter. 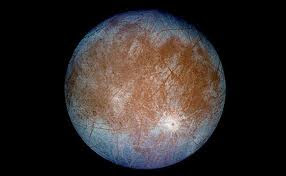 Unfortunately even though Europa is somewhat protected by Jupiter’s large magnetic field, enough radiation falls on Europa’s surface to cause illness or death, so a large amount of protection would be needed for outdoor activities. Vacation Summary: Unbelievable underwater exploration opportunities. Beautiful sky. Plenty of water ice to play on. This planet is about 20 light years away but is thought to be the place most similar to Earth. Zarmina is considered a “Super Earth” because it’s actually larger than Earth. While this means higher gravity, it also means a larger planet to explore. The temperatures are thought to be cooler than Earth, though comfortable temperatures should be found near the equator. Zarmina may be tidally linked to it’s star, which would mean that one side of the planet would always be at noon, while the other side always at midnight. This also should mean that there would be pleasant temperatures near the noon side of the planet. 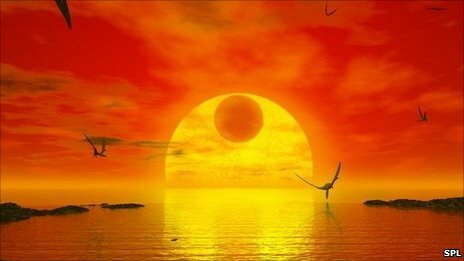 Instead of our yellow Sun, there would be a red Sun and this would probably change the color of the entire landscape. We have not been able to determine the terrain or if there are liquid seas but we have determined that this is likely a relatively old planet. This is good because there is less of a chance of it being a volcano planet and a greater chance of it being relatively flat and calm. Water and Carbon Dioxide have been found in the atmosphere which does increase the likelihood of nice beaches and lakes to play at. We can’t yet say whether or not space suits would be required, but the size of the planet might indicate a magnetic field is present and thus safety from radiation. No other planet known has the potential for non-spacesuit vacationing. Vacation Summary: You might not need a spacesuit. Nice temperatures depending on location. Neat red Sun in the sky. Possibly lakes, rivers, and seas. High chance of plant or wildlife growing out in the open. Gliese 581 d is considered a prime candidate for an “Ocean World” as It lies within the outer limits of the liquid water zone. It may be from 5 to 13 times the mass of Earth, so gravity might be a little bit of a problem here. However, this planet may very well have moons around it that reduce the burden of visiting a high gravity world. This planet may also be tidally linked to it’s star, which would likely mean that somewhere on the planet would be a comfort zone. Atmospheric pressure may also be a problem doe to the large size of the planet. However, this could also be a boon to vacationers. Instead of vacationing on the surface, vacations could be taken in the upper atmosphere on floating platforms (coming soon!). Short tours to the surface may be possible for fit people to examine possible wildlife or sight-seeing. This possible ocean world might just be the ultimate fishing vacation spot. 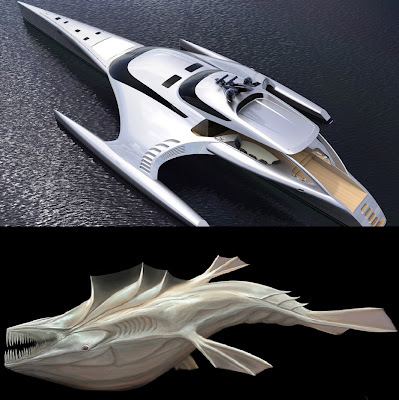 If you can imagine fishing off the back of a floating rocket, reeling in a huge alien fish from a high gravity ocean we can eventually make it happen as part of your dream vacation package. Vacation Summary: Possible Ocean World. Moons may also be unique vacation spots. Should have nice climate. Possible Wildlife and / or Ocean life. Neat red sky. Full spacesuits may not be needed.